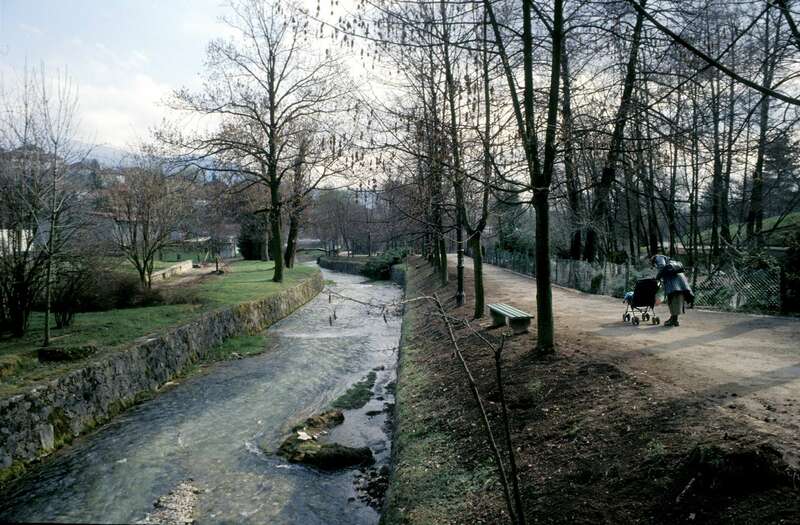 A mother pushes a stroller along one of the pathways of the Sarajevo Zoo. During the early months of the 1992-95 war, the international media covered the death of one of the last surviving animals -- a bear -- prompting an outcry from animal rights activists who demanded an end to the war. Sarajevans, who endured a three-and-a-half-year siege of their city by Serb forces while the international community did little to intervene, still comment wryly about the fact that the deaths of animals in the zoo seemed to create more protests against the war than the deaths of the 10,000 civilians who died during the siege.